Robert Carlyle turned down a part in 28 Days Later. Set just after the end of 28 Days Lter, husband Don (Robert Carlyle) and his wife Alice (Braveheart’s Catherine McCormack) have been hiding away in a rural cottage from the rage infection that has been ravaging the British populace, whilst their kids are in safer climes abroad. Sharing the place with four others, Don and Alice’s haven is at risk the minute a young boy turns up at the door with the infected in pursuit. Don flees the cottage rather than put his life at risk by staying with his wife Alice who is left to fend against the invading infected without him. Six months later, and with the last of the infected considered dead, mainland Britain is empty. With the virus apparently beaten, the US Military slowly allows those people that had been sitting out the disaster from abroad to move back to London. Upon hearing that they were to make a follow-up to Danny Boyle’s excellent 28 Days Later, you could be excused for thinking that it would just be an average cash-in at best. 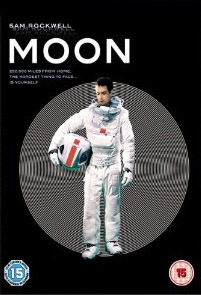 With the 2002 release earning an estimated $82.3 million worldwide from a meagre $8 million budget, as well as some terrific business on the rental / retail market, it stood good financial sense to make another. That the movie isn’t the run-of-the-mill cash-in it could so easily have been is a pleasant surprise, and the fact that it not only equals, but in places, surpasses the original is nothing short of outstanding. 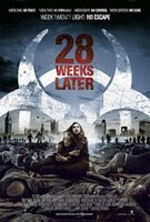 Upon it's release on both sides of the Atlantic 28 Weeks Later did respectable business with an estimated $10 million in the States on its opening weekend. Not bad considering that it was the fourteenth major horror release this year on the American market showing that if the reviews are good enough that people will pay to see it despite the possible horror fatigue that must surely be starting to set in. With critics declaring it not for the faint-hearted and for those with strong stomachs only, it may have led some to think it not for them. However if they can stand the gore there is a good strong solid story to elevate this above the standard. Danny Boyle, who executive produces this time round, was loathe to have the ‘rage’ infected referred to as zombies when his 28 Days Later was released. Whether he thought they were zombies or not, the success of 28 Days Later appeared to resurrect the fortunes of the un-dead with the likes of Land of the Dead, the remake of Dawn of the Dead, which this franchise bears the closest comparison to, and comedy Shaun of the Dead all green-lit onto our big screens. This time round Boyle has handed the directing reigns to Juan Carlos Fresnadillo who made international waves with his 2001 thriller Intacto, a bizarre little number that was about four people who become involved in a game of chance from which only one of them will emerge intact. Intacto is not the easiest of premises to pull off with people running blindfolded and with hands restrained through trees and such like but Fresnadillo did. Fresnadillo is obviously a fan of people running blindly as he continues the trend with 28 Weeks Later - thank God that none of the major characters were fatties as they wouldn't have got very far and the movie would have been a helluva lot shorter. Unbearably intense in places the movie has an abundance of chillingly effective set-pieces throughout, kicking off right from the word go with the opening assault on the cottage. With no fat in the story-telling and everything key to moving the story on, sometimes the horror comes with the unflinching realisation of what is about to happen which doesn’t always necessarily mean gore. From peeking through Scarlett’s night vision at the terror on the kids’ faces as they stumble through the dark and over corpses in Charing Cross tube station to Andy’s terror as his infected dad Don enters the so-called containment area and begins attacking people this is full-on - in-your-face horror at its best. And to top it all off there is THAT helicopter scene that nods towards Romero's original Dawn of the Dead and then rips straight through it. Enrique Chediak’s rough and ready approach to the cinematography ensures that the bleakness of the movie’s situation is punched home in smack, bang, 'have that!' fashion and, along with Masahiro Hirakubo’s excellent editing, keeps the audience giddy and breathless as if they were right in there running with the characters. What is also unusual for a sequel, let alone a genre sequel, is the standard of the acting. Robert Carlyle, who has proved he is a dab hand at this biting into human flesh malarkey in the flawed but interesting Ravenous, is terrific as the cowardly Don conveying the emotional conflict within, before turning all Begbie from Trainspotting as he becomes one of the infected. Catherine McCormack has also recovered her form showing that if the material is good enough she can rise to it. Even the smaller roles have been effectively cast. American actor Jeremy Renner, who took on the role of notorious serial killer Jeffrey Dahmer in 2002’s um, Dahmer, plays Sergeant Doyle, a Special Forces sniper who develops a conscience. He turns what could have been a cliché into a more rounded character. Australian actress Rose Byrne, obviously a favourite of Danny Boyle’s having recently starred in his Sunshine, also stands-out as medical officer Scarlet who takes the two kiddies under her wings when she realises their importance. 28 Weeks Later conveys that there is no greater horror than that which we can inflict upon our own. It’s about our weaknesses and that ultimately the biggest threat to us is actually ourselves. The scenes in which Renner’s sniper Doyle is told to fire at anyone, not just the infected, when it becomes apparent that the military have lost control of the situation, thumps onto the canvas with an awful impact.